The Blue Sky Center team invites you to join us in celebrating the completion of our first ever artist residency program in the Cuyama Valley. Generously supported by the Squire Foundation, Santa Barbara County Department of Arts & Culture, and in collaboration with Explore Ecology and the Art From Scrap Creative ReUse Store, we hosted five artist teams for five days in our five Shelton Huts on the Blue Sky Center campus, encouraging artwork made in, with, and about the Cuyama Valley communities. Just a two hour drive north of Los Padres National Forest, the Cuyama Valley is home to three unincorporated townsites and its own school district in the northeast corner of Santa Barbara County. 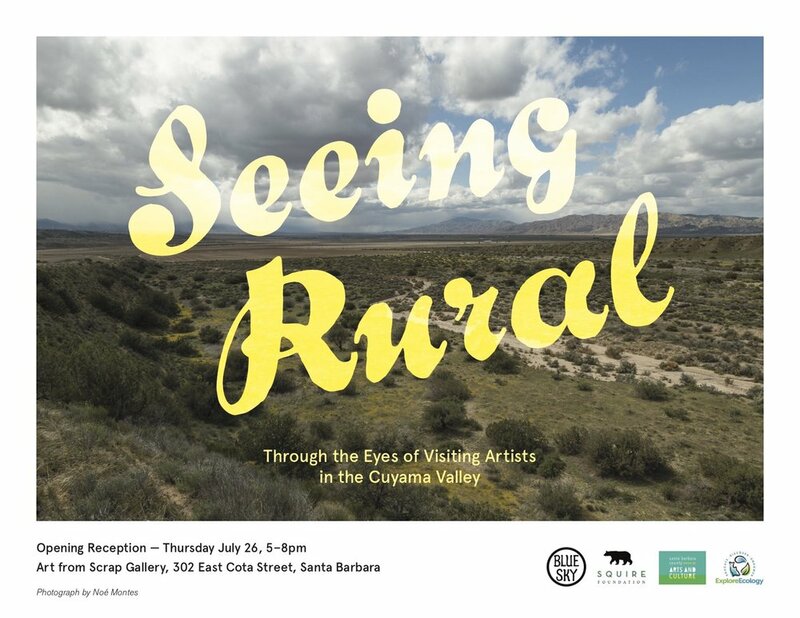 With this exhibit, we invite the Santa Barbara community to learn more about the valley and support the arts in our rural place.